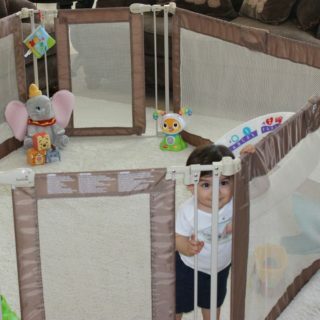 As mothers, we all have our favorite baby products, but they change from stage to stage. 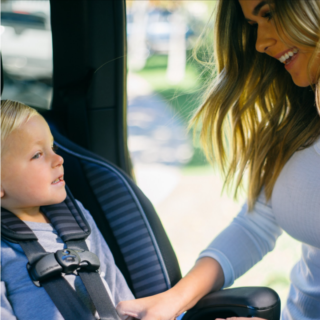 As our babies grow, we grow, and so do our needs for keeping life at home safe, easy, and fun. 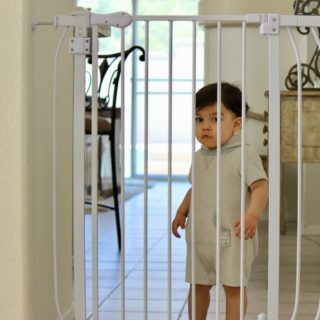 From the moment my son began to crawl, my favorite product has been the Summer Infant Custom Fit Walk-Thru Gate….